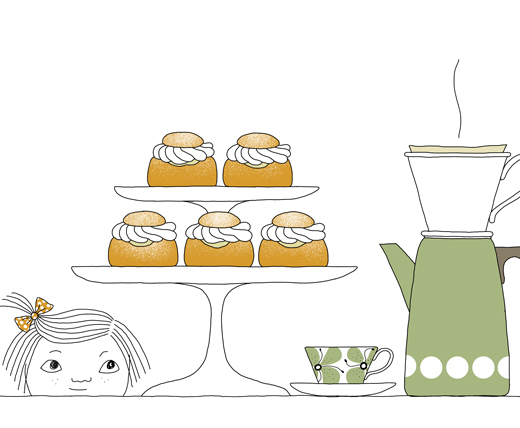 February is traditionally the month I would go from one bakery to another to hunt down the best semlor in town. But since moving abroad that task has been put on hold. 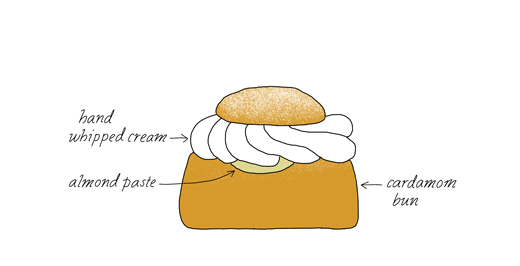 Semlor, also called fettisbullar, is a cardamom bun filled with almond paste and heavy whipped cream. Comfortingly delicious. 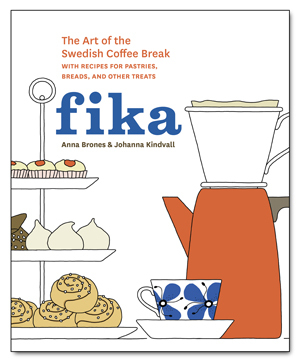 Traditionally they should be eaten on Fat Tuesday before lent, but Swedes start having them as soon as they finished their Christmas’ ginger cookies and keep enjoying them until it’s time for Easter candy. From a distance, I have noticed that in the last few years this wonderful almond paste filled cardamom bun has started to come in different varieties and flavors. Sometimes even in different shapes. As much as I love chocolate, princess cake, or licorice I think my favorite always will be the traditional combination of cardamom, almond paste and hand whipped cream. This year, Fat Tuesday (Shrove Tuesday, Mardi Gras, Paczki Day or Pancake Day) falls on Tuesday, February 28. So its time to get the ingredients ready and start baking. In a sauce pan, melt the butter and then add in the milk. Heat until the liquid is warm to the touch (about 110ºF/43°C). In a cup, dissolve the yeast in 2 to 3 tablespoons of the warm liquid. Stir and let sit for a few minutes until bubbles form on top. In a large bowl, whisk together one of the eggs with the sugar. Pour in the butter and milk mixture including the yeast. Stir until well blended. Mix in the flour, baking powder, salt and cardamom. Work the dough until well combined. Transfer dough to a lightly floured flat surface, and knead until dough is smooth and elastic, about 10 minutes. The dough should feel moist so try not to add more flour to the dough (which could result in dry buns). Place dough in a bowl, cover with a dampened tea towel and let rise at room temperature for 1 hour. On a flat surface, divide dough into 12 to 16 equal pieces and roll each into individual rounds. Place them with 2 inches (2.5 cm) apart on a greased baking sheet (or line with a silicon baking mat). Cover with a dry tea towel and let rise for 30 to 45 minutes. (To test when they are ready to bake, poke your finger gently into one of the buns; the indent should slowly spring back, about 3 seconds). When you are ready to bake, beat the last egg with a fork and brush each round all over the top. Bake until the tops of the buns are golden brown, 10 to 15 minutes. Remove the buns from the oven and transfer to the counter. Cover with a tea towel and let cool completely. To make the almond paste, in a food processor grind the almonds until finely ground. Add in the sugar and almond extract and pulse until mixture sticks together. With a knife, cut a “lid” off the top of each bun. Scoop out a portion of the inside and place the crumbs together with the almond paste in a large bowl. Mix it well together and add as much milk as needed to create a thick and smooth filling. Fill each bun with the filling, followed by some whipped cream. Top with the “lid” and dust with confectioners’ sugar. Pssst the drawing on the top is available as a print here. I love your illustrations ?? ?